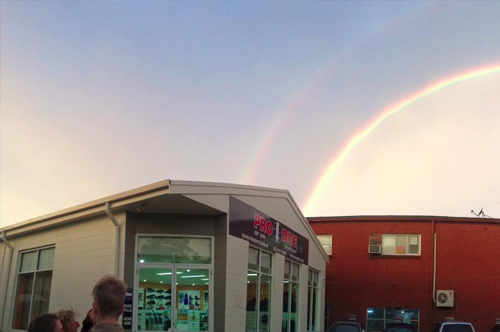 PRO DIVE has been the #1 Dive Centre(s) for the last 49Years. We have a range of Pro Dive Professional Career Programs, that not only cover Scuba Instruction, but also Tourism, Education (Cert IV) and Retail experience. Our Pro Dive Professional Traineeships will give you real world training and all the necessary skills for a financially and personally rewarding career as a Dive Professional. We've built an unrivalled reputation since October 1969, our three Dive Centres at Coogee Beach and Manly have access to all of Sydney’s premier dive sites, as well as Sydney’s premier beaches and tourist sites. Internationally recognised certification from Openwater to Dive Guide, Divemaster and Instructor. We organise and run over 3000 dives and certify over 6000 divers every year, as a PRO DIVE Professional Trainee you have unlimitied oppourtunity to assist in leading and training divers. Our 43ft/13m Dive Boat, Sea life V, is a fully surveyed dive charter boat operating 6 days per week with access to most of Sydney's premier off shore dive sites. As a PRO DIVE Professional Trainee, you will have the opportunity to guide divers alongside our Skipper, Boat Director and experienced Divemaster team. 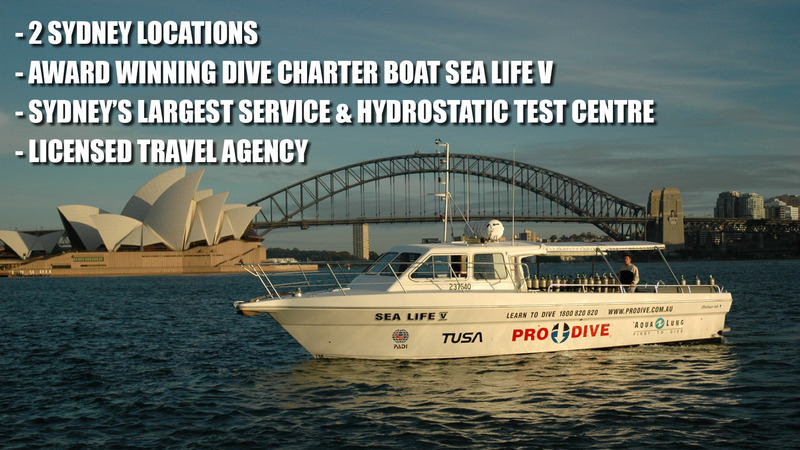 PRO DIVE Sydney has a full service division with our own hydrostatic test station. Our PRO DIVE Professional Traineeships include Nationally Recognised Training Certification in Air fill and Compressor Operations. PRO DIVE’s I.T. department, has developed its own Enterprise Software, which includes Point of Sale, H.R., CRM, Booking Engine and Accounting platform, which you will be trained on to become proficient in Dive Centre Management. PRO DIVE is the largest dive operator in Australia, with centres in Sydney, Cairns and partners in Central Coast, Magnetic Island, Asia and the South Pacific. Our policy is to limit the number of people we train to a professional level, to ensure a quality candidate, many of our successful trainees go on to work all over world.